Krishna Janmashtami , also known as 'Krishnashtami', 'Gokul Ashtami' or sometimes merely as 'Janmashtami', is one of the greatest and most sacred Hindu festivals that commemorates the birth of Lord Krishna, the supreme God in Indian Mythology. It is traditionally believed that Lord Krishna appeared in his human form in Dwapara yuga, on the midnight of the 8th day of the dark half of the month of Sravan of 3228 BC. Hence, Janmashtami is observed on the eighth day of the dark half (Krishna Paksha) of the month of Shraavana in the Hindu calendar, when the Rohini Nakshatram (Rohini star) is ascendent. The festival falls sometime in the months of August/September of the Gregorian calendar. Krishna is noted to be the eighth incarnation of the god Vishnu. Lord Krishna is one of the most famous and prominent gods in the Hindu religion and is believed to be a warrior, teacher, hero and philosopher. 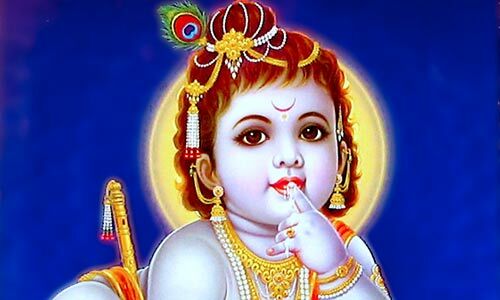 He is known to be the Supreme personality of Godhead. The Vedic scriptures, and scriptures through out the entire world, provide us further detail about this Supreme Being, who is known for his universal acctractive attributes. 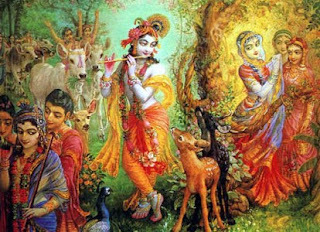 Hence the name, Krishna, meaning "the all-attractive one" for this Supreme Being. 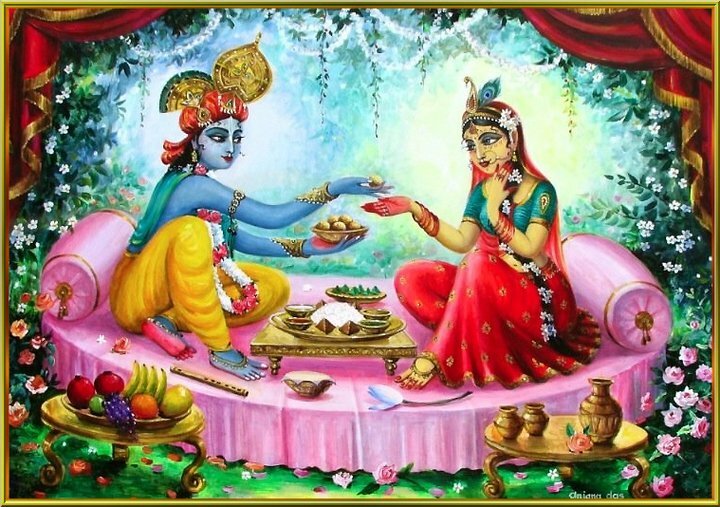 According to Hindu mythology, 5000 years ago on Janmashtami, which falls on the 8th day of the dark half month of August-September, Lord Krishna appeared at midnight. This is a historical fact, and holds immense prominence. Midnight was the time of maximum darkness, and when the Lord was born during this midnight, the darkness began to diminish. 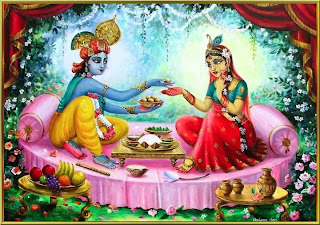 The observances on the day when Krishna is to be born in the midnight (Janmashtami), marks one's preparation with spiritual practises to receive the truth. In India and abroad, wherever there is the presence of a Hindu community, Janmashtami is observed with a lot of joy and enthusiasm. Every year people celebrate the birthday of Lord Krishna with great pomp and enthusiasm. 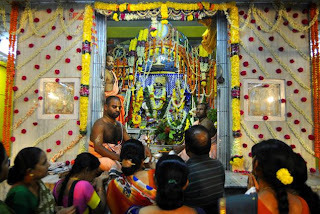 Special pujas (worship services) are performed both in homes as well as temples. The entire day is devoted to the remembrance of the antics of Lord Krishna during his stay in his earthly abode. Special Aartis (prayer services) are performed and Bhajans (devotional songs) sung in the praise of the Lord. Food offerings are placed before an idol or image of the deity which are consumed once the worship is completed. Devotees bathe early in the morning, dress up in new apparels and with the 'puja samagri' (the items necessary for worship) in hand, throng local temples in thousands to visit their favourite god, pay him a tribute and celebrate his birth with a lot of fervor. 'Panchamrit' - milk, curd, gangajal, honey and ghee. Some 'prasada'(food offering) for 'naivedya'. Generally, these are the things traditionally needed for performing the puja. However, it should be kept in mind that the list of items may vary because the process of worship differs in case of different people. Pious Hindus believe that worship of the Gods with full faith, love and devotion using all the necessary pooja items, make them feel happy and pleased. It is then that they bestow mankind with happiness, fortune and success. Hence, it is considered a bad omen if any of the items is missing. It is advicable that you recheck before the puja, whether you have with you all the Janmashtami pooja items or not.